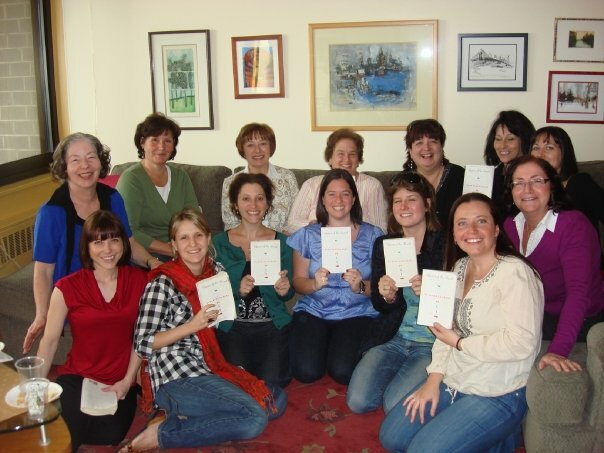 And, what better way than to celebrate with a Mother's Day Book Club? Truth be told, this group met the week before. But, get this: The gals have been meeting for some time, and decided that they would invite their moms for a special Mother's Day Book Club gathering! I think that's a fabulous idea, don't you? The moms came from all over the East Coast, to meet with their New Yorker daughters and guess which book they chose to discuss? Yeah, well. D'ya think I'd be posting this otherwise? So, even though I wished all of you a Happy Mother's Day last week, once again: Happy Mother's Day and thanks so much for the lovely discussion of QUEEN OF THE ROAD! As for my own, Queen Mother: She's traveling overseas today. Hope you're not too jet-lagged, mom. PS - Your website is AWESOME!!!! This page contains a single entry from the blog posted on May 10, 2009 10:28 AM. The previous post in this blog was Main Line Newcomers Evening Book Group. The next post in this blog is Hate Her Because She's (Now Even More) Beautiful.